Random House just released Arizona Republican Sen. Jeff Flake’s new book, Conscience of a Conservative. One hundred forty pages for $27. How does he get away with that? We’ll see if it sells. Let’s analyze his potential sales pool. In the book, Flake trashes President Trump. There’s one Amazon purchase out the window. He also severely chastises his fellow GOP legislators and other party movers and shakers for enabling The Donald to political victory. Many more units left in back stock. But, as reviewers and critics have pointed out, Flake has voted with President Trump about 94 percent of the time. Right there he loses the popular vote by almost 3 million sales (though he could still make a profit in the Electoral College). Sen. Flake is a self-described Barry Goldwater conservative, hence the title of his book, which he borrowed from Goldwater’s 1960 work of the same name. Flake wants the Republican Party to return to its conservative, Goldwatery roots of promoting free markets, limited government, and a strong defense. Two out of three ain’t bad. Maybe Flake is on to something. “Governing demands compromise.” “I don’t understand this incivility.” “I will fight [the radical right] every step of the way.” Even liberal Democrats can get on board with these sentiments. Sure, Sen. Flake seems to align with Donald Trump on policy, but his most scathing criticism of the president is aimed at Trump’s character: the suffocating narcissism, the lying, immaturity, volatile unpredictability, misogyny, racism, xenophobia, blatant self-promotion, massive conflict of interest as president and real estate billionaire, philosophical incoherence … Jeff, you had me at suffocating narcissism. I’m not sure if Flake actually used all of those terms in his book, but if he missed any, they can go in the sequel. Sen. Flake writes, “We pretended that the emperor wasn’t naked. Even worse: We checked our critical faculties at the door and pretended that the emperor was making sense.” To his credit, Jeff Flake was a never-Trump man from before the primaries through the election. But where was Jeff Flake during the lead-up to Trump’s political rise, during President Obama’s first and second term? Where was Jeff Flake while the GOP was tacitly encouraging tea party racism, nativism, and blatant anti-Obama lies? Mr. Flake rightly calls out Newt Gingrich and his scorched-earth politics of personal destruction. Good for him. But where was Jeff when Newt was espousing his brand of not-so-subtle dog-whistled racism? Why wasn’t then-congressman Jeff Flake on Meet the Press lambasting Gingrich for his consistent racist jabs during Obama’s 2012 re-election campaign? Speaking of Meet the Press, Sen. Flake defended himself this week by saying he personally did enough to stand up to the bogus “birtherism” conspiracy, which made Donald Trump a Republican star. 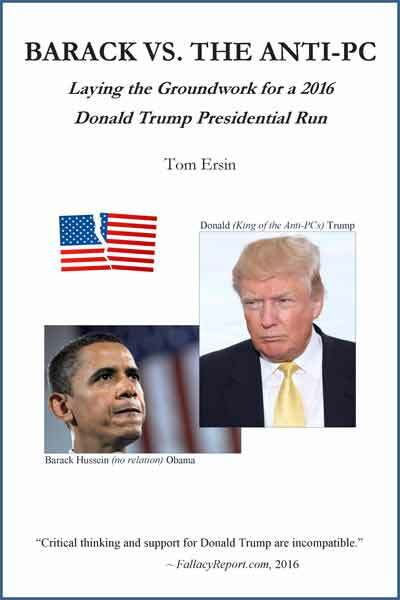 Without Trump’s full-court birther press and consequent notoriety before and after the 2012 election, there would be no President Trump. I’m sorry — I watch a lot of political cable news. I was especially enthralled during the 2012 campaign. I have no recollection of congressman and 2012 senatorial candidate Flake speaking out against Trump’s despicable, racist conspiracy theories. I’m sorry, Jeff — you did NOT do enough. You are right that your party was wrong. But you did not speak out enough. And where was Jeff Flake when Romney campaign co-chair John Sununu was broadcasting his dog-whistled remarks? “He’s lazy” (referring to President Obama). “When you’re not that bright, you can’t get better prepared” (referring to President Obama). Where was Jeff Flake when Sarah Palin and Michele Bachmann were putting in their two cents? 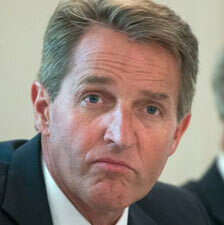 Finally, where was Jeff Flake when the other myriad lies about President Obama and his policies were flying, heavily supported by the tea party: lies about death panels, health care rationing, socialized medicine, gun confiscation, socialized auto industry, doubling the deficit, making the economy worse, and on, and on? Donald Trump did not rise to the presidency on his good looks (or manners). The Republican Party made a deal with the devil after Barack Obama’s 2008 election. In return for tea party support of anti-Obama obstructionism, the GOP looked the other way and gave tacit approval to race-baiting and xenophobia. The colossal mendacity and lack of critical thinking was astonishing. The Donald saw his opening, and Republican leaders ultimately lost their influence. Forget tacit. Trump openly cheered the rampant intolerant nativism, nihilism, and anti-PC hatred. The base cheered him back, and he took over their party.